Your sporting preference and no matter how hard you train, or don’t train there is always a chance of picking up an injury. Knowing how to treat your injury and having it properly assessed will help to speed up recovery. Early treatment of sports injuries is extremely important for long-term recovery and rehabilitation. 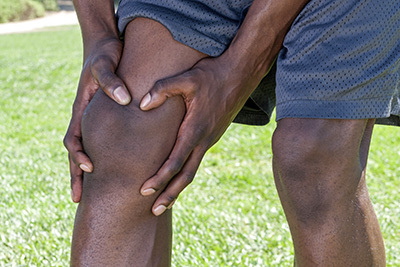 Sports injuries can affect can affect any joint and can be broadly classified as either traumatic or overuse injuries. An injury that occurs as a direct result of a sudden event, such as a sprained ankle caused by twisting awkwardly, is known as an acute injury. In contrast, an injury that is caused by overusing the same muscle group or joints is known as a chronic injury. Factors that may also contribute to injury are poor fitness, poor technique and structural abnormalities. Prevention is better than cure and at Aspire I will assess you for weaknesses and suggest the relevant strengthening and conditioning exercises to help reduce the risk of injury. Whether your sports injury is acute or chronic, if pain persists, you should seek a specialist’s opinion because what you might think is a “mild strain” and you can “live with it” may lead to compensation in other areas leading to greater injury over time. There are many different types of sports injuries, and you don’t need to be “sporty” to get one. Two of the most common causes of pain and reduced function are sprains, which occur to joints, and strains, which occur in muscles. Sprains are injuries to the ligaments and capsule of a joint. A ligament sprain indicates that fibres within the ligament have been damaged. This damage can vary from a few fibres to a complete tear of the ligament. The amount of fibres damaged determines the grade and severity of the injury. Tissue damage will result in inflammation around the joint. This is characterised by localised pain, swelling and an increase in temperature and redness in the surrounding skin. Strains refer to injuries to a muscle. A strain occurs when muscle fibres are torn, and the amount of fibres damaged determines the grade and severity of the injury. As a result, bleeding can occur into the muscle. This may be visible at the surface by the presence of bruising. Remember PRICE for the early stages of injury management. PROTECTION – immediately stopping the activity, therefore preventing further injury. REST – means avoiding excessive activity in the subsequent 48-72 hours. ICE – apply an ice pack (or a bag of frozen peas…or veg of choice) to the affected area for 10-20 minutes every 2 hours where possible. (It is advisable NOT to place ice directly onto the skin as this may lead to a skin burn). Placing the ice pack in a damp towel before applying will prevent skin irritation. COMPRESSION will help to reduce any swelling – this may be done by the application of a compression bandage (e.g. Tubigrip). ELEVATION – whilst resting the affected limb, elevate it to just above the level of your hear to help drain the fluid. This management should be continued for 24-72 hours post injury and should be complimented with gentle movement of the affected area. Movement is important as it can prevent stiffness developing around the joint. If this management strategy hasn’t helped or if you are concerned about your injury it is important to seek a specialist’s opinion. Sports massage is an effective therapy for releasing tension in muscles and restoring balance to the musculo-skeletal system. Regular activity can cause a build-up of tension in the muscles which can lead to increased stress on joints, tendons and ligaments in addition to the muscles themselves. These imbalances may go unnoticed until they are serious enough to cause discomfort or impede performance. Massage therapy can help you maintain a healthier physical state by restoring mobility to injured muscle tissue and joints, and in turn, help prevent further injury from occurring. Poor management of an injury can often result in recurrence and may potentially lead to other injuries occurring.